Sarasota, FL, June 18th, 2013 – RiskWatch International, LLC., today announced the expansion of its flagship Risk Assessment Software Solution: RiskWatch 360 into the compliance risk assessment space for the energy industry with the addition of tools that address NERC CIP compliance risk assessments. 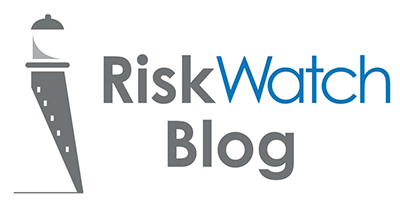 The addition of these capabilities follows a recent trend of expansion for RiskWatch International, who recently added four entirely new product lines to their offerings. Like all RiskWatch International offerings, the NERC CIP Compliance Assessment Solution is offered “in the cloud” using the Software as a Service (SaaS) model. Built to address a wide range of industries’ risk and compliance assessment needs, RiskWatch 360 is an agile, efficient, and effective integrated risk and compliance assessment solution. RiskWatch 360, formerly called RiskMaster, has been renamed to reflect growth within the product’s capabilities and to align with new products being released. RiskWatch 360 is known for its ease of use, quick deployment, and useful ROI measurements of compliance risk mitigation efforts as part of assessment reporting. Risk Watch International provides state-of-the-art risk assessment and management solutions that enable organizations to easily perform risk-based assessments and to incorporate metrics into security and compliance intelligence for more informed decision making. Since 1993 RiskWatch has been a global leader in providing risk assessment solutions. RiskWatch believes that you can’t manage security and compliance risk effectively if you can’t measure it. We strive to be, and remain; a company that makes the world a better place by making it more secure. We are committed to exceptional customer service and to providing software products and services that are easy to use, affordable and offer exceptional value to our clients.